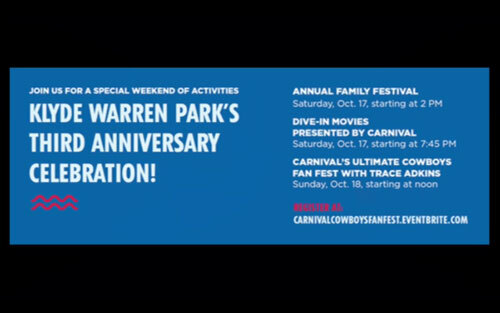 DALLAS, TX — Sunday’s Ultimate Cowboys Fan Fest presented by Carnival Cruise Line was hosted by none other than Dallas Cowboys legend Darren Woodson at Klyde Warren Park celebrating its third anniversary with a weekend full of events, The family festival kicked off on Saturday, October 17 at 2 PM and continued through Sunday evening. The huge event, starting at noon, was emceed by Dallas Cowboys three-time Super Bowl champion Darren Woodson and featured a free concert by Grammy-award winning country music artist Trace Adkins. Source: Star Telegraph. Woodson’s emcee duties did not simply consist of introducing Adkins. He also joined Cowboys fans for the day that were set up with fun activities from Carnival’s cruise experience including a football toss challenge, mini-golf, bean bag toss, an inflatable slide, ping pong, face painting and a recreation of the Cowboys Football Academy training camp. 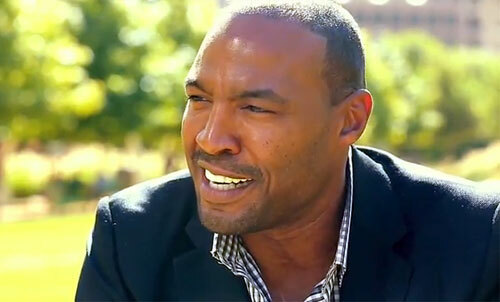 Darren Woodson played safety for the Dallas Cowboys from 1992-2004. He was a five-time Pro Bowl selection, a three time Super Bowl champion and is the Cowboys’ all-time leader in tackles with 1,350. He was drafted by the Cowboys in the second round (37th overall) of the 1992 draft out of Arizona State. Sports Speakers 360 is a booking agent for motivational sports speakers. If you would like to book pro athletes or NFL stars like Darren Woodson for a speaking engagement or appearance, please contact Darren Woodson’s booking agent for speaker fee information. For details on how to hire Dallas Cowboys players for appearances, call 1.855.303.5450.